If Barbie were real, is there any question if she’d be an Instagram influencer? She absolutely would be. And though somehow Mattel hasn’t put out Influencer Barbie just yet, a new hotel suite in Mexico gets us pretty close. 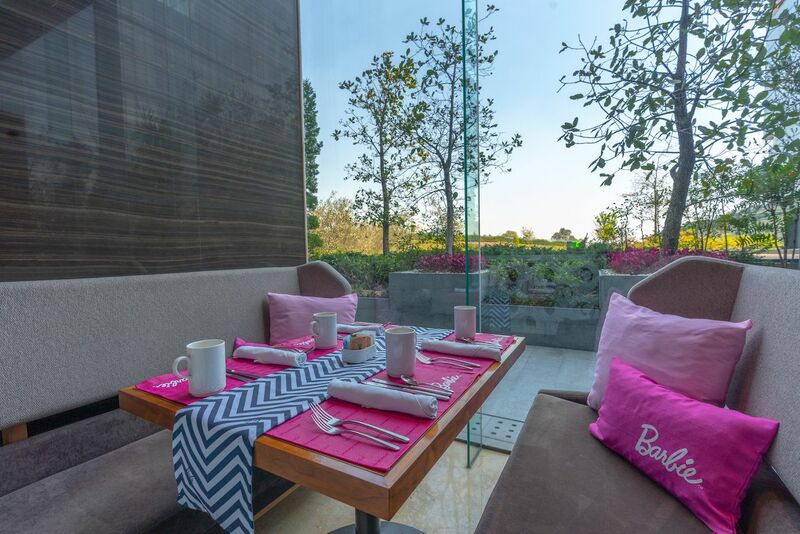 Starting this week and running through December, the Hilton Mexico City Santa Fe is offering guests a chance to spend the night in its pink-tacular Barbie Glamping Experience, a customized suite that duplicates the great outdoors as only a woman made of plastic can. No word on if Korngold had a previous career as an influencer agent. Inside the room you’ll find artificial turf on the ground, a toy wood “campfire,” and vinyl leaves draped from the ceiling. They hang over a life-size Barbie camper — a pair of plush bunks done up in pink with throw pillows and Barbie’s signature on the side. The sea of pink continues in the bathroom, where pink bath mats and Barbie stickers on the mirror are accompanied by amenities from Colgate and Avon. The suite will also include toys for kids and a collection of vintage Barbies spanning her 60-year career. The Barbie party doesn’t stop inside the suite, though. MADERA, the Hilton’s restaurant, is offering a special pink menu in honor of Barbie’s 60th anniversary. It’ll include Instagram-friendly offerings such as heart-shaped pizzas and gnocchi in pink sauce, as well as red velvet treats and strawberry ice cream. The lobby will have a giant pink shoe from which to take copious selfies, as well as Barbie-themed artwork on the walls. 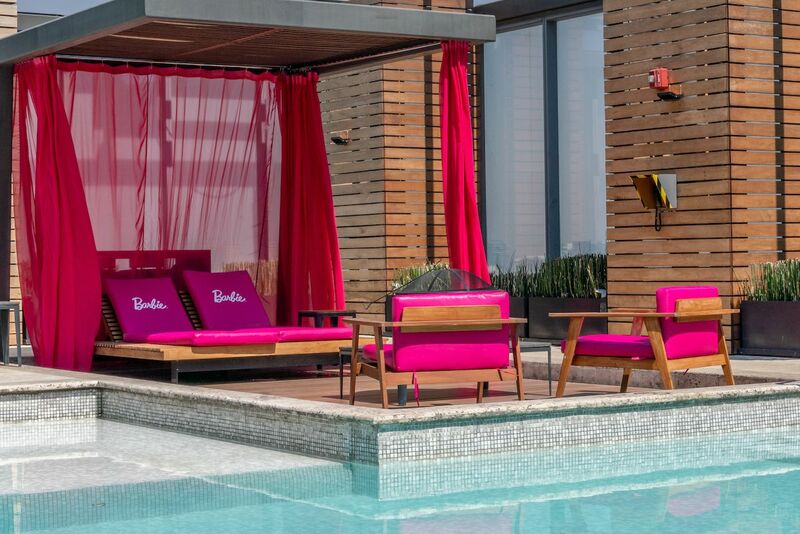 Despite the glamorous amenities, the Barbie Room Experience will start at a fairly reasonable $189 per night on weekdays and $229 a night on weekends. It’s currently open for bookings.